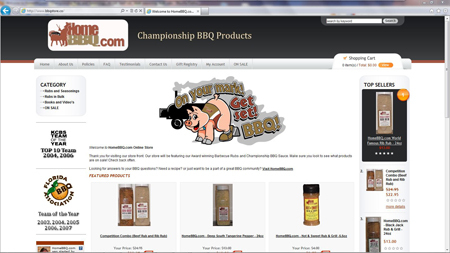 There has been a sale going on at the HomeBBQ.com Online Store. You can still take advantage of this sale for 2 is hgh a steroid more somatroph hgh days, 15% off. At checkout use the coupon code “april” without the quotes. Click here to visit the online store. Winnipeg, MB Canada; Embers Fireplaces & More Locations will be selling HomeBBQ.com products very soon! 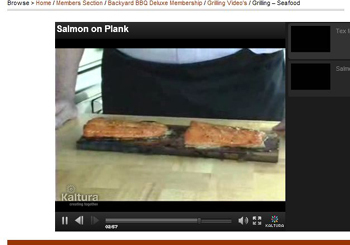 The Seafood class was a big success, but there was no question that the hit of the evening was the Salmon. Jan 3, 2009 Ormond Beach, FL – After originally being presented the FBA Team Of The Year Cup after the 2003 season, by the Sorry Boys, the FBA TOTY winner from 2002. HomeBBQ.com managed to hold on to the cup for 5 consecutive years. On this night, the FBA TOTY Trophy was presented to Rob (RUB) Bagby of Swamp Boys BBQ. Rub had an outstanding season which included 8 Grand Champion wins. Congratulations goes out to Swamp Boys BBQ, and good luck for the 2009 Season. The FBA TOTY Cup was donated by the Sorry Boys BBQ Team (Chip Faul and Gary Lehman). 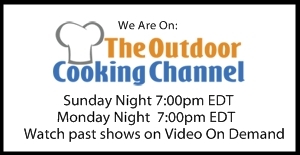 Now that we have our rub, the right equipment, and we are able to control a consistent temperature, we are ready to attempt the toughest meat to cook, Beef Brisket. Lets first discuss how to select the meat you are about to cook. 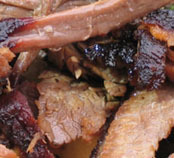 Beef Brisket can typically be sold in 3 different size cuts. First, is the whole packer cut, this whole cut includes the 2 very distinctly different muscles that make up the entire cut, you have the flat which would be considered the flat long piece of meat, the point, which includes the nose end, and the meat layer underneath the flat, which is separated by a layer of fat which is also known as a deckle layer. The whole packer cut is the most desirable cut to cook in your smoker, the main reason being, the tremendous amount of fat that can be left on this cut to give it plenty of moisture to draw from while cooking.